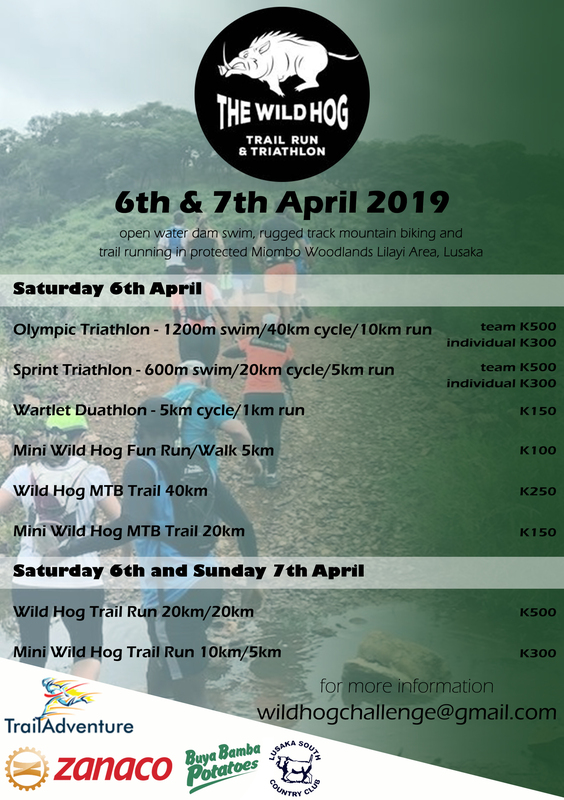 Join us for a crazy weekend of mountain bike riding, trail running and swimming in the indigenous Miombo Woodlands, Lusaka, Zambia. Challenge yourself to a two day Stage Trail Run through endangered woodlands or enter the Triathlon which includes a swim in a cool and unpolluted dam, rugged mountain bike riding and trail running. In Zambia, an elevated sense of fun and good party skills are part of the requirement. So, South Africans and other International Athletes, don’t forget to practice! Trailadventure’s signature family orientated events are relaxed, newcomer friendly and suitable for all levels of fitness, but do offer a challenge if you want to go fast and furious. Children’s duathlon and a 5km fun run / walk events provide everyone the opportunity to be part of the fun. The Lusaka South Country Club is our host, providing entertainment, particularly, for family and friends accompanying athletes. The Club will be catering for athletes and spectators for the duration of the event. Without event sponsors Buya Bamba Potatoes and Cavmont Bank, we would not be able to host this amazing sporting weekend. Give it a go…. Book your flights to Lusaka, Zambia Now! The Wild Hog Challenge awaits.